Although there is a font problem, kerning is surprisingly not the issue here. By Cynthia C. Northbridge. 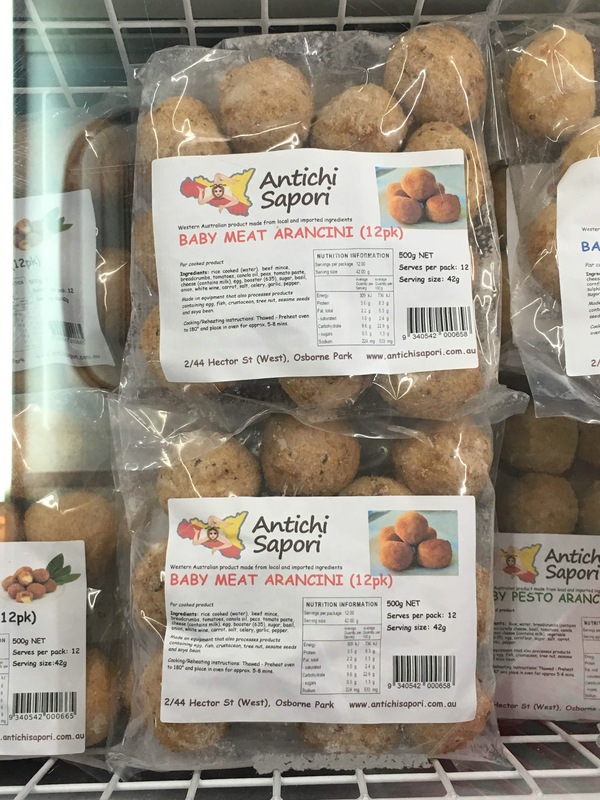 This entry was posted in worst name and tagged #Cynthia C., baby meat, northbridge. Bookmark the permalink. The only thing better than Sicilian baby meat is Corsican baby meat. When Jonathan Swift doesn’t make it through his Masterchef elimination round. but I can never finish a whole one. You were on fire with your 6PR jokes yesterday. 6PR is a joke , Now back to the Arancini. Here we could make , if we were of low character, cheap jokes about hospital basements, but I like to think of it as an unfortunate direct translation from the Italian. The Sicilian Mafia have an unfortunate habit of abducting children in order to control their parents. I’d be intersted to sample a few of these locally produced examples. Almost anything deep fried is delicious ; but agreed , Sicilian cuccina tipica is rather fine !